Gupshup (also known as SMS Gupshup, Webaroo) is a messaging services company with primary operations in India, US and UK. It has been providing SMS, email, Voice, USSD and IP messaging and chatbot development services to leading BFSI, Retail, e-commerce companies. Gupshup’s platform handles over 4 billion messages per month and over 150 billion cumulative. Gupshup also developed a smart-messaging app, Teamchat, which introduced patent-pending “smart” messages in 2014, only now being offered by other messaging apps. In April 2016, Gupshup launched one of the first chatbot building platforms (gupshup.io) in the world that caters to over 25,000 developers and has over 30,000 chatbots across 22 channels like Facebook Messenger, SMS, Twitter, Hangouts, Google Home, Amazon Alexa, Email as of September 2017. Gupshup enables businesses to build engaging conversational experiences seamlessly across 30+ messaging channels using a single API. Gupshup offers a comprehensive product portfolio that includes an easy to use omni-channel messaging API, advanced bot building platform and mobile marketing tools. GupShup has grown rapidly by helping several leading Enterprises such as Facebook, Twitter, WhatsApp, LinkedIn, FlipKart, OLA, ICICI, HDFC, Citibank, DishTV and HUL better engage and retain their consumers. Single API for all your messaging needs. Build seamless conversational experiences across 30+ channels using a Single API. Use Gupshup’s Single API and its programmatic features to enable rich and interactive conversational experiences for any business workflow. GupShup provides Different tools for different people. Tools for coders and non-coders alike to simplify bot building. In Gupshup you can create your conversation flow with a graphical editor. Create detailed and advanced conversational bots using just point-and-click tools – no coding required. 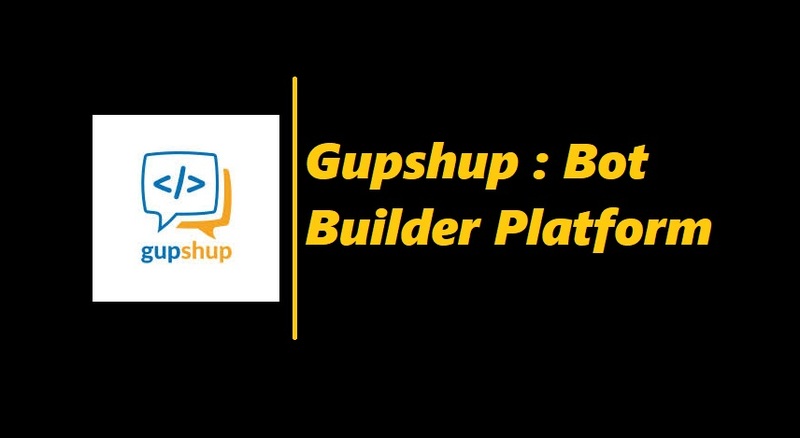 Gupshup provides IDE Bot Builder for developers. These Tools for the entire lifecycle of bot development including scripting, dev, testing, hosting, monitoring and analytics providing an easier and faster way to build advanced bots. Bot to Bot (InterBot) Communication – A channel for Bots to interact with each other enabling amazing new possibilities! Bots can delegate tasks to different bots, transact & negotiate with other Bots, engage in multi-player Bot games, upgrade themselves by leveraging capabilities of other Bots, thus resulting in smarter and more powerful Bots.